San Diego, CA, September 26, 2007 -- During its 2007 annual meeting, the National Academy of Engineering (NAE) will present two awards for extraordinary achievement. NAE's Founders Award will be given to Stanford S. "Sol" Penner, who made important advances in thermophysics, applied spectroscopy, combustion, propulsion, and energy. Jordan Baruch will receive the Arthur M. Bueche Award for fostering innovation and the management of technology for economic growth. The prizes will be presented at a ceremony to be held on Sunday, Sept. 30. Penner is an NAE member and Distinguished Professor of Engineering Physics Emeritus at the University of California, San Diego (UCSD). He will receive the Founders Award "for pivotal studies on thermal radiation, propulsion, combustion, and energy systems, directing government studies, founding a university department and energy center, and training future leaders." The award recognizes outstanding professional, educational, and personal achievement to the benefit of society, and it includes $2,500 and a gold medallion. In 1947, Penner joined the Jet Propulsion Laboratory in Pasadena, Calif., and, he was appointed to the faculty at the California Institute of Technology (Caltech) in 1950. His early interests were in jet propulsion, spectroscopy -- the study of how radiation and matter interact -- and thermophysics -- the study of heat transfer and storage. By basing physical parameters on scientific analyses and data rather than on empirical charts that were valid only in limited ranges, he changed how radiative energy transfer is evaluated by engineers. 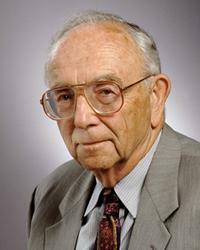 Penner founded the Journal of Quantitative Spectroscopy and Radiative Transfer in 1960 and edited it until 1992. This publication and his own studies have continued to influence many areas of spectroscopy research, from heat transfer to re-entry vehicles to measurements for assessing global circulation models that predict climate change. Penner's work has advanced fundamental knowledge in propulsion, combustion, and space flight, and has profoundly influenced the design of nozzles and liquid rockets. He conducted pioneering theoretical and experimental work on aspects of nozzle flow, propellant burning, laminar flames, and droplet burning and ablation. Penner also performed important analyses of radiant heat transfer to spacecraft during atmospheric entry. He authored many publications during this period, including the noteworthy 1954 textbook Chemistry Problems in Jet Propulsion. For these studies, he received 3 different awards for combustion research, thermophysics, and energy-system studies from the American Institute for Aeronautics and Astronautics and was elected a member of the International Academy of Astronautics. Penner was active in defense research; he served as both a study director and (while on leave from Caltech) served as director of the Research and Engineering Support Division at the Institute for Defense Analysis. Under his leadership, the division tripled in size and began a successful program that enabled young university researchers to study defense issues and participate in defense research. In 1998 Penner's defense work was recognized with the Edward Teller Award for the Defense of Freedom. In 1964 Penner founded the department of aerospace and mechanical engineering sciences at UCSD, which grew rapidly and later spun off engineering departments in structural engineering and bioengineering. The university's Jacobs School of Engineering now consistently ranks among the best in the country. During the 1970s Penner's interests shifted to energy systems. His research contributed to energy conservation, fossil fuel development, and fuel cell designs, among other areas. He directed numerous studies and prepared many reports for federal and state agencies on subjects ranging from coal gasification and liquid-fuel production from coal and shale oil to waste incineration. In 1972 Penner started the UCSD Center for Energy Researchand served as director until 1990. He also founded the influential publication Energy – the International Journal in 1974 and served as editor until 1998. Jordan Baruch, a member of NAE and president of Jordan Baruch Associates in Chevy Chase, Md., will be presented the Arthur M. Bueche Award "for the promotion of innovation and management of science and technology nationally and internationally, thereby enhancing the economy of the U.S. and developing nations." He will receive $2,500 and a gold medallion in recognition of his statesmanship in U.S. public policy on technology and for promoting ties among academia, industry, and government. At the Massachusetts Institute of Technology (MIT), Baruch combined studies in electrical engineering, mechanical engineering, and physics to earn a D.Sc. in instrumentation. He soon became an assistant professor at MIT and, over the next decade, taught a wide range of engineering courses. During these years, Baruch was also putting his creative mind to use at Bolt Beranek and Newman (now BBN Technologies Inc.), an acoustics and computer software consulting company. Among his early inventions were an affordable multi-loudspeaker system, a colorimeter for pathology laboratories, instruments for cardiac and neurosurgery operating suites, and the country's first multi-station computer system for hospitals. Baruch began to develop his ideas about the management of technological innovation while a lecturer at Harvard's Graduate School of Business Administration. His success led him to Dartmouth College, where he held a joint professorship at the Tuck School of Business and the Thayer School of Engineering. While assistant secretary of commerce for science and technology (1977­-1981), Baruch aimed to foster innovation and competitiveness in the U.S. He led efforts to modernize the Patent and Trademark Office, to transform and expand the Bureau of Standards into the National Institute for Standards and Technology (NIST), and examine industrial innovation. As part of a U.S.-China diplomatic initiative, Baruch led the establishment of the first Chinese management school on the industrial use of science and technology; its thousands of graduates have been credited with leading Chinese industrial growth over the past 25 years. Since then, Baruch has served on the Board of Regents of the National Library of Medicine. He has also been involved in many international and cooperative efforts to develop industrialization strategies and increase innovation in countries such as India, Indonesia, and Israel. He has led important policy studies on energy, urbanization, and innovation, including several at the National Research Council.